A Biography: In Memory of Gayle Gilchrist James: 1940 - 2008. -- Related Documents. Bibliography: Some Published & Unpublished Document. Valentich, Mary (2008). Gayle Gilchrist James: A Personal and Professional Portrait. - A 52 minute DVD interview. To order a copy, please send a cheque for $10.00 made out to the University of Calgary to: Mary Valentich. Faculty of Social Work. Rm. 4238, PFB, University of Calgary, 2500 University Dr. NW.Calgary, AB, T2N 1N4. Proceeds go to the Gayle Gilchrist James and Richard Ramsay Gold Medal Scholarship. Galat, Joan Marie (2008, Cover Story). The many faces of Gayle: Remembering Gayle Gilchrist James. The Advocate, 33(3, Fall): 24-29. The Alberta College of Social Workers (ACSW). PDF Download. Eugenia Repetur Moreno, Executive Director, CASW / ACTS (2008). Social Work Loses A Great Leader. Full Text N/A, Archive Link, New Link. Le service social perd une de ses grandes chefs de file. Full Text N/A, Archive Link, New Link. David N Jones, IFSW President, with contributions from past Presidents and others (2008). Gayle Gilchrist James 1940 - 2008. Full Text N/A, Archive Link, New Link. Leng, Terrence (2008). Social work leader lauded at memorial: U of C professor a tireless advocate. Calgary Herald, July 15, 2008. Full Text. CanWest MediaWorks Publications Inc. (2008). Social work leader lauded at memorial: Family, friends and colleagues gathered Monday to celebrate the life of Gayle Gilchrist James, who died May 30 after an international career in social work. Calgary Herald, July 15. Full Text N/A, Full Text. McInnis and Holloway Funeral Homes, Calgary Alberta (2008). Obituary: Gilchrist James, Gayle. Full Text. Faculty of Social Work, University of Calgary (2008). Farewell to Gayle Gilchrist James. FSW Newsletter, Summer 2008, pp. 1-2. Full Text N/A. National Council of Welfare (2008). Gayle Gilchrist James - Alberta. Full Text N/A. French: Full Text N/A. Note: The National Council of Welfare 1969-2012 (R.I.P.). Social Work Notice Board: Newsletter of the Aotearoa New Zealand Association of Social Workers, August - Here-turi-k�k� - 2008 N/A, Archive Link: "May was a sad month for the profession as it lost two shining lights in the world of social work. On 30 May former IFSW President Gayle Gilchrist James died after a long and courageous journey living with cancer. 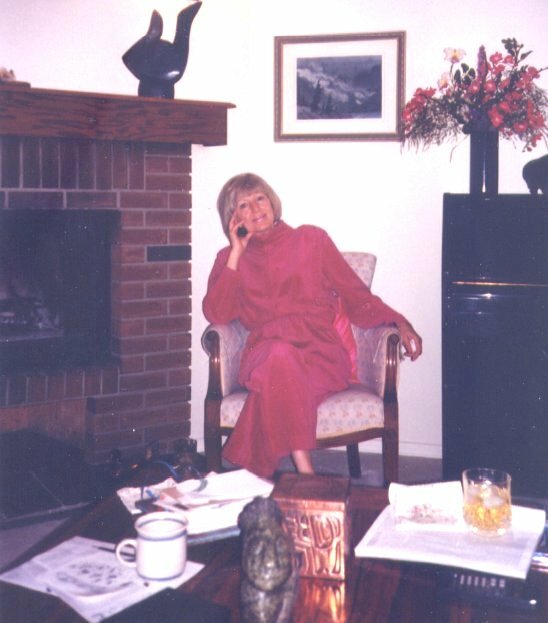 A Canadian, Gayle served as President from 1988 to 1992 and was awarded the first Andrew Mouravieff-Apostol Medal by IFSW in 2004 in recognition of her longstanding contribution to international social work." Need to Register: Access to Document. CASW / ACTS (2008): The Pulse of Social Work Awards: Lifetime Achievements Category. Gayle Gilchrist James's Acceptance Speech. Full Text N/A. Gilchrist James G, Ramsay R (2009). International Social Work: Canadian Perspectives. Thompson Books. Reference. Gilchrist James, Gayle (2003). Welcome to the Crossroads. For: Social Work Students First Social Work Annual Social Action Day, Faculty of Social Work, University of Calgary. PDF. Word. HTML. Gilchrist James, Gayle (1996). Shaping our Future: A Dialogue for Social Workers. Paper presented at Ontario Association of Social Workers: Proceedings. PDF. Word. HTML. Gilchrist James, Gayle (1995). Keynote Address: Order and Disorder in Turbulent Times. Nineteenth National Conference on Perinatal Social Work, Edmonton, Alberta. PDF. Word. HTML. Gilchrist James, Gayle (1994). Consequences of Debt Reduction: The Social Sector. The Canadian Association of Business Economics: CABE NEWS, Winter 1994. PDF. Word. HTML. Gilchrist James, Gayle (1993). Current Trends and Future Directions in Social Work Practice. Paper presented at the Symposium: Making a Difference, On the occasion of the Fiftieth Anniversary of the Faculty of Social Work, University of Manitoba, and The Baird Poskanzer Memorial Symposium. PDF. Word. HTML. Gilchrist James, Gayle (1992). Banquet Address: CASW National Award Presentation, Saint John, New Brunswick. PDF. Word. HTML. Gilchrist James, Gayle (1990). Surviving Repressive Policy: An International Perspective. Paper presented at the BCASW 34th Annual General Meeting and Conference, Vernon, British Columbia. PDF. Word. HTML. Gilchrist James, Gayle (1989). Impact Of The Environment On The Human Condition: An International Human Rights Problem. Presentation at the 6th Annual Social Work Day at the United Nations. PDF. Word. HTML. Gilchrist James, Gayle (1987). Alberta Association of Social Workers (AASW) 1987 Annual Conference: Wrap-Up Comments. PDF. Word. HTML. Gilchrist James, Gayle (1986). Professionalism and the Road to Becoming a Profession. Presentation at the 1986 Professional Development Seminar, Canadian Public Relations Society, Inc., Clagary, Alberta. PDF. Word. HTML. Gilchrist James, Gayle (1986). International Comparison of Social Work As a Lead Profession: Canada. Presentation at the Pre-Conference Osaka Seminar - 1986 Tokyo Conference on Social Welfare. PDF. Word. HTML. Gilchrist James, Gayle (1984). Nursing Code of Ethics and the Para-Professional. Presentation at the Alberta Association of Registered Nursing Assistant' 27th Annual Convention. Red Deer, Alberta. PDF. Word. HTML. Gilchrist James, Gayle; Gero, Bryon M (1983). Chapter 9: Social Work. In: Finer Boberg and Eve Kassirer (Eds). Rehabilitation Teams: Action and Interaction. Health Services Directorate, Health Services and Promotion Branch. Ottawa, Canada: Published by the Authority of The Minister of National Health and Welfare. PDF. Word. HTML. Gilchrist James, Gayle (1980). Address to Graduands, Class of 1980. Faculty of Social Welfare, University of Calgary. PDF. Word. HTML. Gilchrist James, Gayle (1976). The Psychologist in the Community. Luncheon Speech: Psychology Association of Alberta, Calgary, Alberta. PDF. Word. HTML. Gilchrist James, Gayle; Ramsay, Richard; with Drover, Glenn (2009). International Social work: Canadian Perspectives. Toronto: Thompson Educationa Publishing. Abstract & Table of Contents.